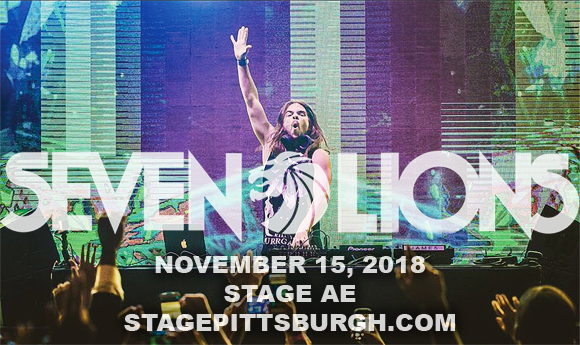 Seven Lions is back, bringing the bigger, better and more spectacular Journey II Tour to Stage AE on Thursday 15th November 2018! Bringing a legion of EDM fans together for the hottest tunes and an incredible stage show, the Journey II Tour will be an unforgettable night of community, music and dancing 'til you drop! Book your tickets now! American record producer, remixer, instrumentalist Jeff Montavelo (better known by his stage name, Seven Lions) began his music career in 2010 in Santa Barbara, California, first coming to public attention when his unofficial remix of "Cosmic Love" by Florence and the Machine was then released on Moshi Moshi Records as part of the official single package for "Cosmic Love". He then caught the eye of EDM duo Above & Beyond through his remix of their track "You Got To Go," which he entered into their 2011 official remix competition on Beatport and which went on to sit at #2 on Beatport’s Dubstep chart for over 6 weeks. Seven Lions has released his music (which draws from numerous genres including trance, dubstep, drum and bass, glitch hop, and electro house) on several labels over the years, working with Casablanca Records, OWSLA, Viper Recordings, Anjunabeats and Republic Records. In 2018, he launched Ophelia, his own record label.